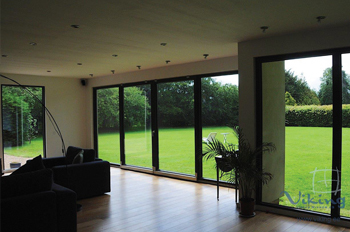 Viking Window supply to Ireland both outward and inward opening entrance doors and terrace doors. 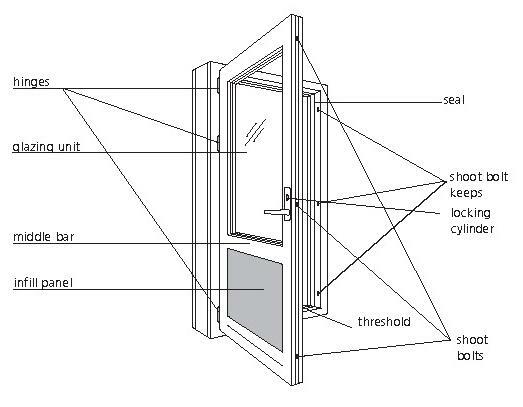 Viking doors have three locking points to ensure better security and stability for the irish market. 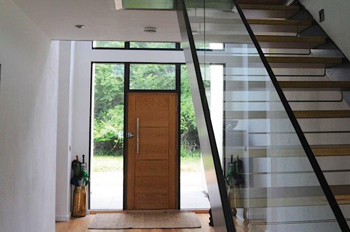 Covering wood with painted aluminium profiles the resistance to weather conditions can be improved. Insulated wooden or MDF panels are used as infills. 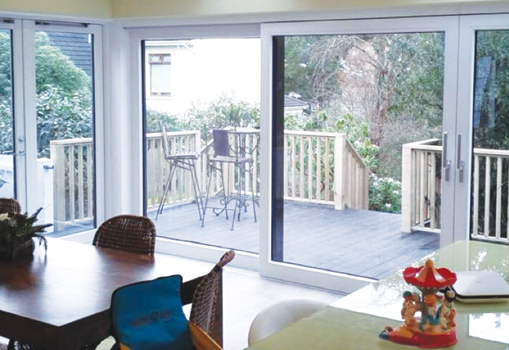 Viking Windows supply to Ireland sliding patio doors which are equipped with high quality and modern GU-934-H hinges system which has load bearing capability 300 kg. Active leafi is located on inner side of door ensuring functionality for winter times - ice and snow does not damage rails. The espagnolette and strong handle enable convenient operating and possibility to close door in ventilation position.